The football was on tonight, but that doesn't stop IpBoG. 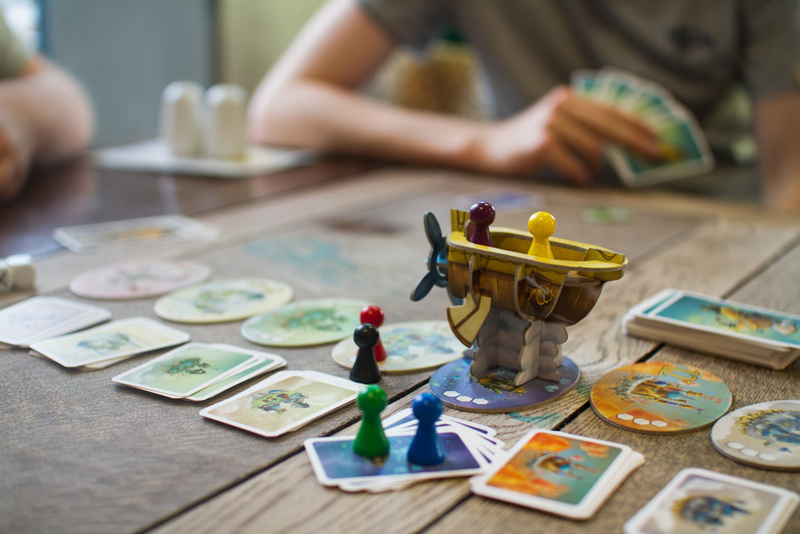 And there seems to be some sort of correlation between people that like board games and people that like football. Attendance didn't seem to be effected much. Cult was pretty busy with avoid football watchers but we managed to find ourselves four or five tables to spread across. We had seven people round a table so we started off with Telestrations, a party game that's a sort of like Chinese whispers with drawing. And probably like a multiplayer version of the mobile game Draw Something that was huge a few years back, although I never played it so I can't say for sure. Although there is scoring in the game we didn't bother with it, the game is fun without worrying about scoring. Afterwards we played Celestia, a game where everyone takes turn being the captain of an airship going further and further until either, it crashes, or it gets to the furthest land. We must have all been terrible captains because we never made it much more than half way. At any point you can chose to jump out and grab some points but if you're still in the ship when it crashes then you don't get any ships. And of course the captain has to go down with the ship. I like it but then I won so I would say that. Steven was had brought along his new purchase, the excitingly titled DC Comics Deck-Building Game. I also caught him playing Splendor and a small card game called Steam Donkey. 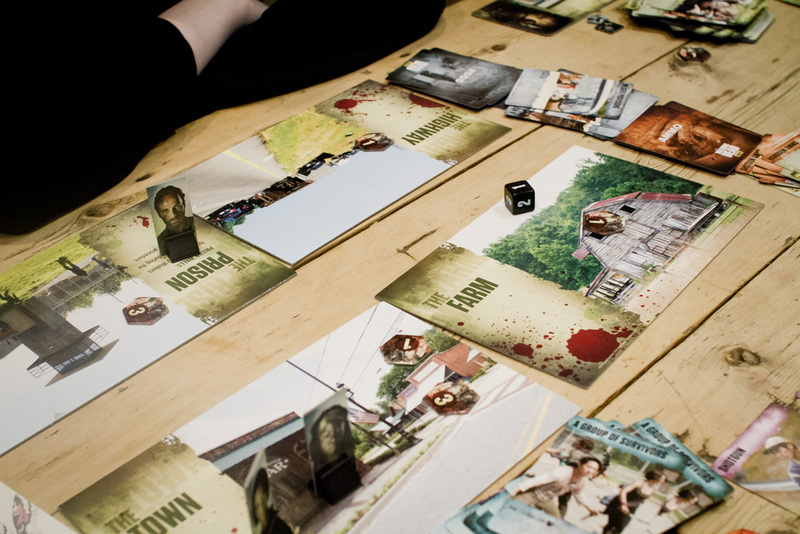 Another table was playing another game with an exciting title, The Walking Dead Board Game: The Best Defense. They followed this up with the classic Coup. The usual Secret Hitler looked like it had been replaced by Good Cop Bad Cop this week. I finished off the night with a game of For Sale which Joe won. I left a little early this week so there were not doubt a bunch of other games played that I didn't get to see.